Theresa May told a Downing Street reception, "we should celebrate the role of Christianity in our country". 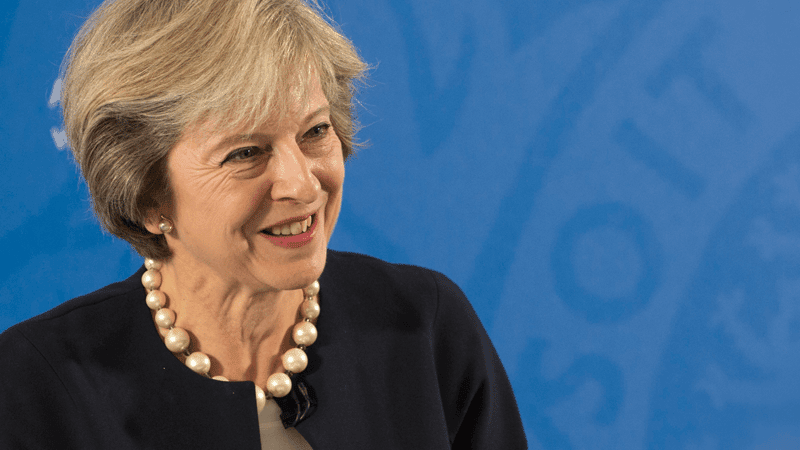 Christians must feel free to talk about their beliefs, the Prime Minister has said, as she declared that the role of Christianity should be celebrated in the UK. Theresa May also told a Downing Street reception that the persecution of Christians abroad needs to tackled. The remarks have been welcomed as a break from previous Prime Ministers who simply saw Christianity as a “curiosity”. Mrs May praised the work that churches do for “millions in our country at some of the most difficult moments in their lives”. She continued by saying, “we should celebrate the role of Christianity in our country”. “We have a very strong tradition in this country of religious tolerance and freedom of speech, and our Christian heritage is something we can all be proud of. The Prime Minister went on to note that the Church and Government “will not always agree”, but there are areas “where we can work together”. She gave the example of “addressing the persecution of Christians and religious minorities around the world”. Mrs May noted that she hoped “to take further measures as a government to support this”. “It is hard to comprehend that today people are still being attacked and murdered because of their Christianity”, the Prime Minister added. Tim Stanley, writing for the Telegraph, used Mrs May’s remarks as an opportunity to reflect upon UK leaders’ attitudes to religion over the years. Stanley highlighted how during Tony Blair’s premiership, his Director of Communications Alistair Campbell famously said “we don’t do God”. The columnist added that in Gordon Brown and David Cameron’s time Christianity was seen as either a “memory of British identity – a curiosity, like Morris dancing – or shorthand for doing good”. While the current Prime Minister will be challenged to follow up her words with action, Stanley said, her comments were a step forward. In November, Theresa May said Christians should be able to speak about their faith in the workplace. Responding to a question in Parliament, the Prime Minister said the UK has a “very strong tradition” of “religious tolerance and freedom of speech”, and added that our “Christian heritage is something we can all be proud of”.